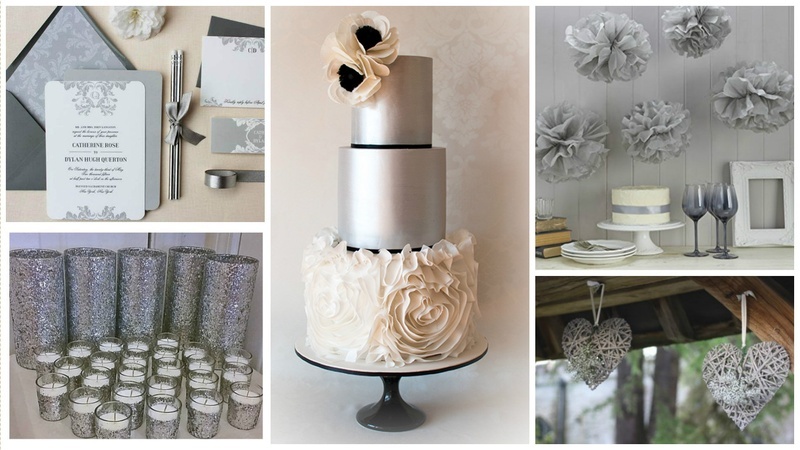 50 Shades of Grey: How to Plan the Perfect Silver Wedding? No, this is not about the life and times of a charming, borderline psychotic millionaire with a few missing screws. But hey! If you’re planning a wedding this coming winter and are confused about a theme, then look no further. We have just the one for you. As you probably inferred from our title, we’re going to show you how to plan a killer grey or silver wedding that your guests will be talking about for ages. When it comes to wedding invitations, there are so many interesting ways to play with the look you want to go for. Make sure you nail this one. You want to begin your wedding plan perfectly! One great idea for wedding invites is using a Victorian theme by adding lace florals with some pastel greys and calligraphy. If you like something flashier, add some glitter and you’re good to go. Another good idea is getting a good graphic designer and printing your cards in a creative way. Simple yet effective. Chalkboard styles, illusion-string lights… they all work brilliantly. Decorations are key to planning a theme based wedding because how else will your theme be evident! Winter weddings are naturally beautiful and these decor ideas will just make it all the more breath-taking. If you like some colour and don’t want to go all monochrome, add pastels to make it a little more you. The wedding cake is actually one of the easiest things to check off on your list of to-do items. Just decide what you want, find a good vendor, place your order and wait it out. If you’re confused about what you want, these ethereal pictures will provide you with the essential inspiration. A good way to go about it is to match your cake with wedding decor or invitations. Chalkboard cakes, glitter, Victorian designs… they all look so fabulous, you won’t want to cut them! Oooh, you’re probably super-excited about your bridal wear. And so are we! Grey ethnic wear is as mesmerizing as it is different. Go for embroideries and indo-western styles and layer it up to jazz up your outfit. Colour co-ordinating with your fiancé is a great idea! Grey or silver wedding favours are again, different and will definitely set you apart in the Indian wedding scene. You could give out candle holders, sweets, mints in pails and a ton of other things. Check out some great packaging ideas below!